This weekend I was supposed to head up north and hunt some small game and swing some flies for steelies. Family got in the way so I canceled the trip and switched the Monday day off. It ended up being perfect for getting Thursday off for my beautiful girlfriend. It’s her graduation for a leadership program she has been taking all summer. So overall things worked out. As I sit here with some windows open, no need for heat or air conditioning. I hear the rain and keep thinking about the steelhead and salmon that have been waiting for the fall push. I don’t travel far for fall fishing. I put my waders on and walk across the street to the Flat river, which flows into the mighty Grand river. Salmon and steelhead leave Lake Michigan to make there way to the Flat river for some spawning. Is it a spot to come across the United States for? NO! But for me to go and wet some lines in, it is perfect! I don’t fish for salmon but for the fresh silver bullets they call steelhead. Last 2 years I have had good success with catching a few on the swing. I don’t chuck n duck or use a classic nymphing style for them. I find those ways really boring. Yes I do believe they are the best ways to catch dinner. I just can’t stop swinging flies, hoping for that angry bullet. I’ve hooked a couple King salmon but never landed them. They have taken me for a ride that would make a awesome movie. 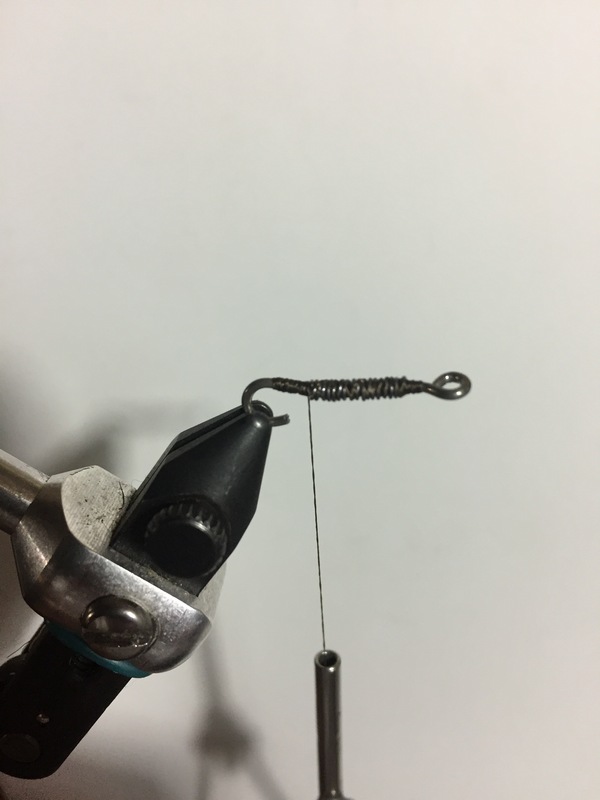 One day around 5 pm I was throwing flies and started to lift up my rod to do a snap-t and cast again. 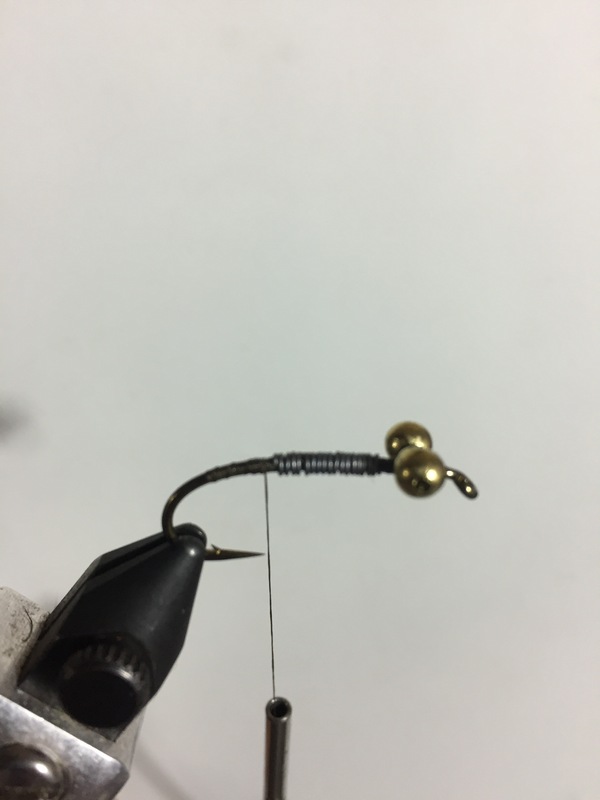 All of sudden my line ripped completely straight across the current about 30 yards, throwing a rooster tail off the line. I tugged a couple of times with the weight of a giant at the end of my line. It quickly turned and headed straight back following the same line it just dragged raced from. Moved about 30 yards and then headed down stream at a alarming rate. My reel was singing like angry bees, ( King hubs ). I started shifting my feet just in case it was going to split the beams in the river. It did and I moved fast to keep tension and try to pull it back thru the beams of a building that protrudes out from King Mill. I kept reeling, moved to help, maintained tension. Then the line went limp and my jaw dropped. I reeled the line in thinking I lost the fly. I didn’t, kind of a win. The fly just happened to fall out and I lost a freaking fast fish. I’ve got a better story but that’s later. One reason I don’t go for King salmon is by the time they finally reach the Flat river they start to get zombie like. It’s a killer fish to catch but I would rather see it spawn and die than me pull it out of the water for half dead meat. The steelhead I catch in the fall I keep, love me some fresh steelhead! 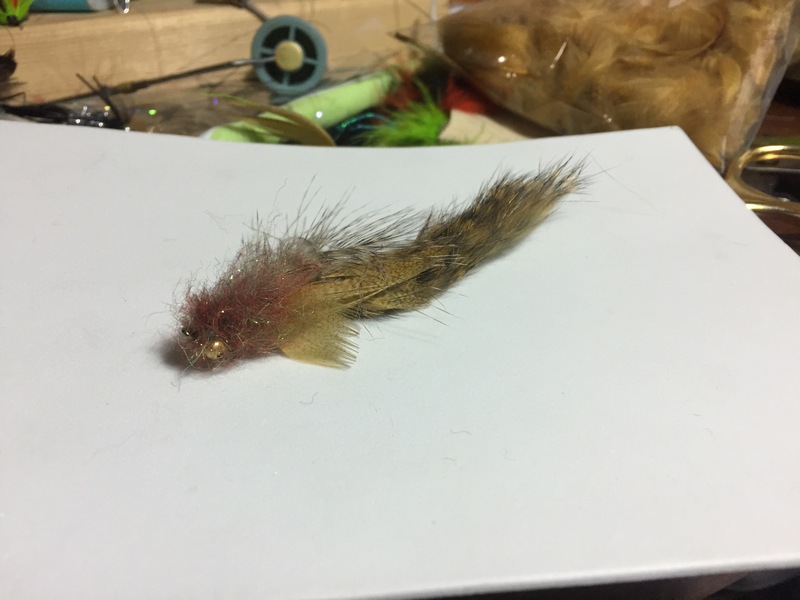 Spring steelies need to lay eggs so I really don’t target them and it’s a time the river deserves some respect with the flowing madness of high waters. I might try to get out Sunday for some fun in the water. Haven’t had the switch rod out in a few months. I swing for smallies thru the summer on the Flat. After steelhead leave and the water gets lower in the spring the smallies come up for spawning. That’s one of my favorite times for smallmouth. Bass season isn’t open yet so no keepers but let the good times roll. So hopefully we get rain here n there and the temps drop lower at night. Water needs to come up a little. 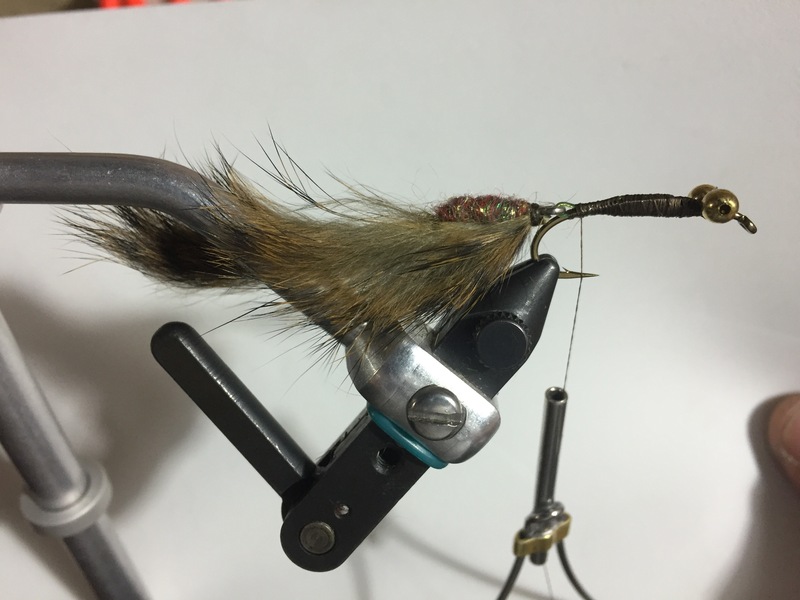 It’s a good fly that has landed good smallies and steelhead in the fall. I don’t have every step but you get the idea. I don’t claim to invent it. 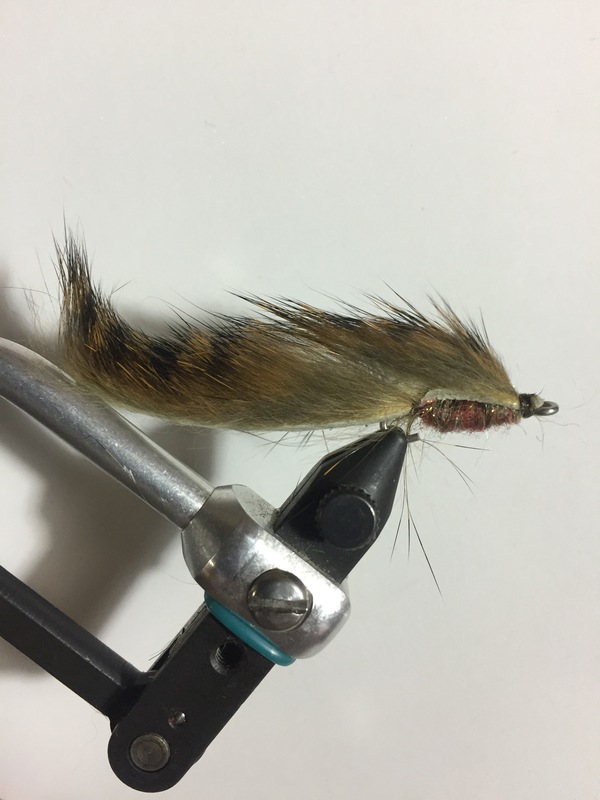 Just tying what I see in the river and use patterns from others. Let’s see if I get out for some tight lines?